According to wikipedia 24% of the world's population uses a comma as decimal separator, including The Netherlands where I live. This means entering numeric information with the numeric keypad on the keyboard can be challenging. You can only use it to type a decimal point (.) while we need a decimal comma (,). To make things ADF simply ignores the decimal point in our locale. When a user enters 1.23 it is converted to 123 and wrong information is entered into the system. We came up with a solution based on a custom ADF Behavior tag. I've recently posted how to create your own ADF (client side) behavior. The first post was a simple version without properties, while the second post expanded this example with properties. 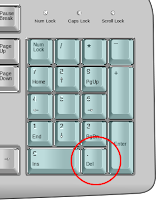 Now it is time for the sequel showing how you can handle key presses in an input item and replace any decimal point keystroke with a decimal separator (possibly comma) keystroke. 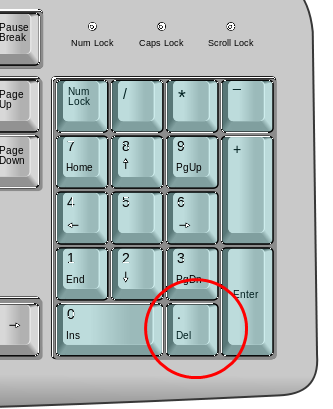 The user can simply use the decimal point on the numeric keypad and when using a European locale it will simply type a comma. * Implementation of redheap:decimalCommaBehavior JSP tag. * on the client to construct the client behavior object. * the client-side implementation of this listener/behavior. * library partition is available. * to register event listeners. * handle invoking a command component with this behavior. The code should be well documented so reading a couple of times should make clear what it does. Basically we are canceling the key-press event for "." and injecting the decimal separator in the value of the current item at the cursor position or replacing any existing selected text within this item. <af:inputText label="Browser locale (should use comma decimal separator)"
As always you can download the full sample application or browse the subversion repository to look at the source code.